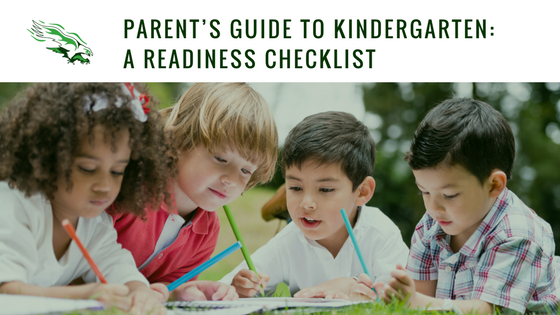 Knowing whether your child is ready for Kindergarten can be a stressful experience for parents, but it’s also crucial to ensuring that your child is ready handle all that Kindergarten has to offer. More than just knowing their ABC’s, signs of Kindergarten readiness not only test knowledge, but other emotional and cognitive indicators that help families and educators know that a child is ready to enter school as well. The State of Missouri has designated a set of Early Learning Goals that can be used to not only assess the current state of developmental goals for kids entering kindergarten, but also as benchmarks to strive for through the infant/toddler/preschool stages. Here are just a few of the main signs that your child is ready to enter Kindergarten. According to Missouri guidelines, your child must be 5 on or before August 1st on the year of which they are planning to enter Kindergarten. Shows curiosity in his/her surroundings by expressing interest in people, places, and shows interest in learning new things. Takes initiative by interacting with others, and making decisions for him/herself. Exhibits creativity in both play and learning environments, may show humor or generate new ideas using imagination. Shows confidence and isn’t afraid to express his/her own ideas and opinions. Displays persistence by coping with frustration and by staying engaged in age-appropriate tasks. Uses problem-solving skills to recognize problems, and when trying to solve them. Exhibits self-awareness and self-confidence by differentiating self from others, and independently responding to others and the environment. Manages feelings and behavior by expressing feelings and emotions, respecting others, and is able to be calmed of self-calm. Builds relationships which can be demonstrated through secure attachments relationships with caregivers, relationships with others, and through cooperative work and play with both children and adults. Uses gross motor skills to control body movements, manipulate objects, and can move freely from one point to another. Uses fine motor skills to use tools in a functional manner, exhibits coordination of facial muscles, and uses fingers/hands to accomplish fine motor tasks. Responds to sensory input while exhibiting body, sensory, spatial, and temporal awareness. Practices healthy behaviors by making healthy food choices, participating in healthy care routines. Practices safe behaviors such as engaging an adult for help, recognizing personal danger and following safety rules. Does your child have most of the skills above? If so, now is the perfect time to take a tour, sign up for kindergarten round up, or enroll in our program.